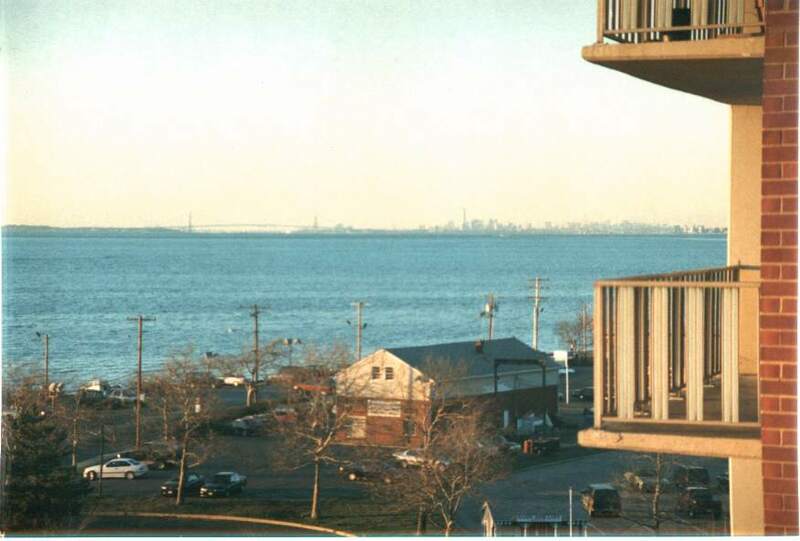 In New Jersey, I could see New York City from my apartment's living room. 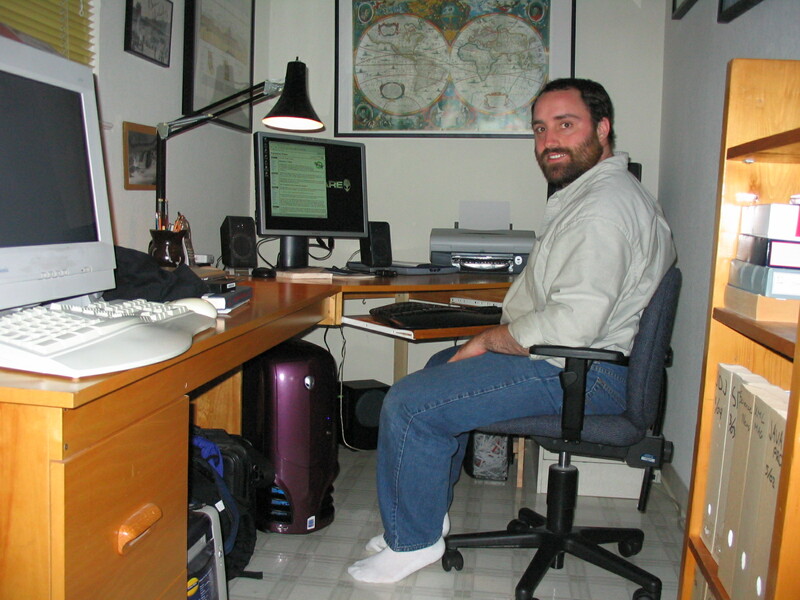 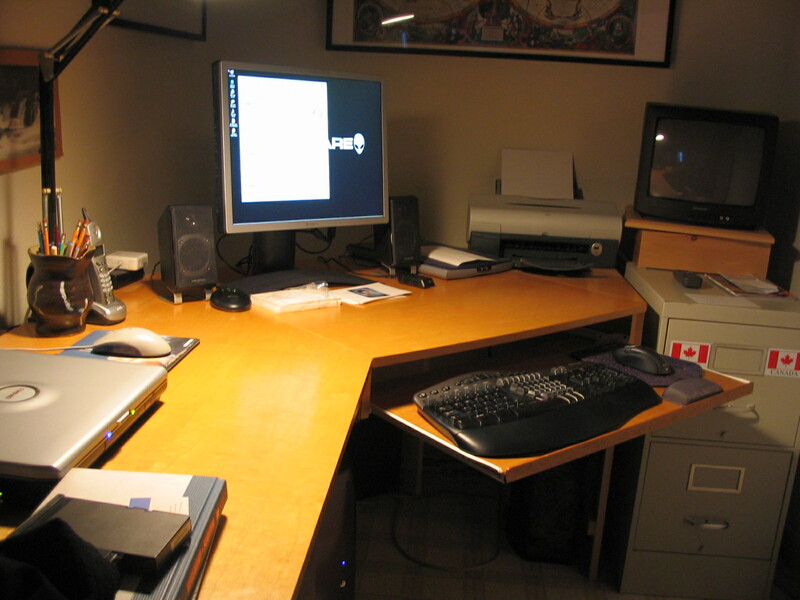 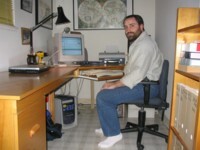 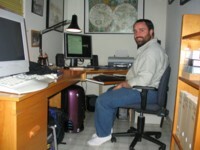 In New Jersey, my home office was in a spare bedroom at first, until my first child was born. 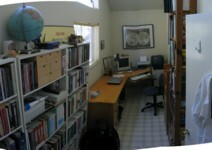 The office was then moved to a corner of the living room. 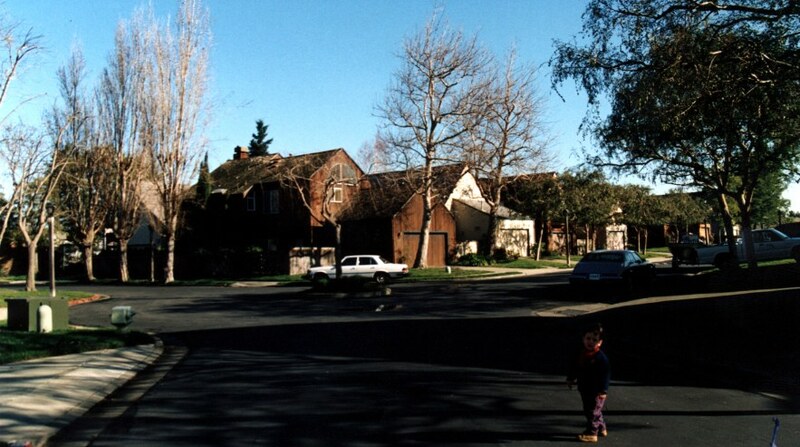 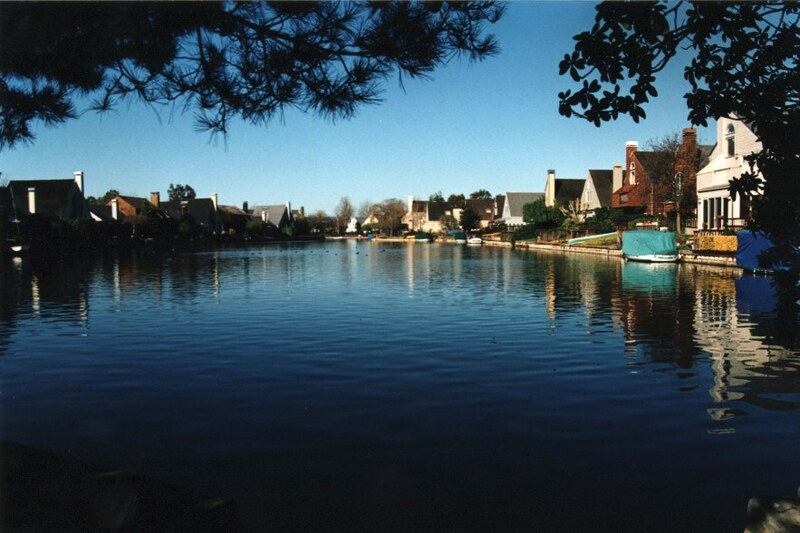 In California, I rent a three bedroom house with a yard in a quiet suburb. At first, the two kids were in one bedroom, which left one for my home office again. 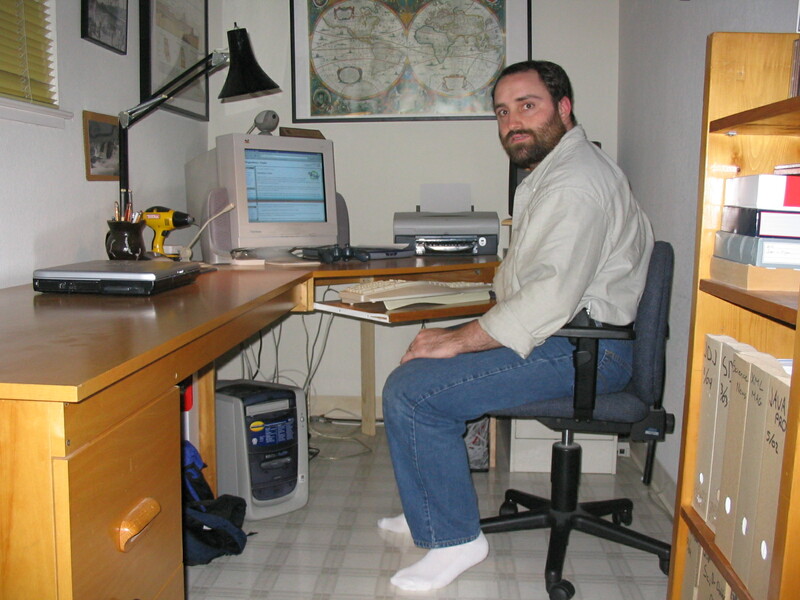 My dad had made the desk custom for the New Jersey living room, but it fit perfectly in the new bedroom. 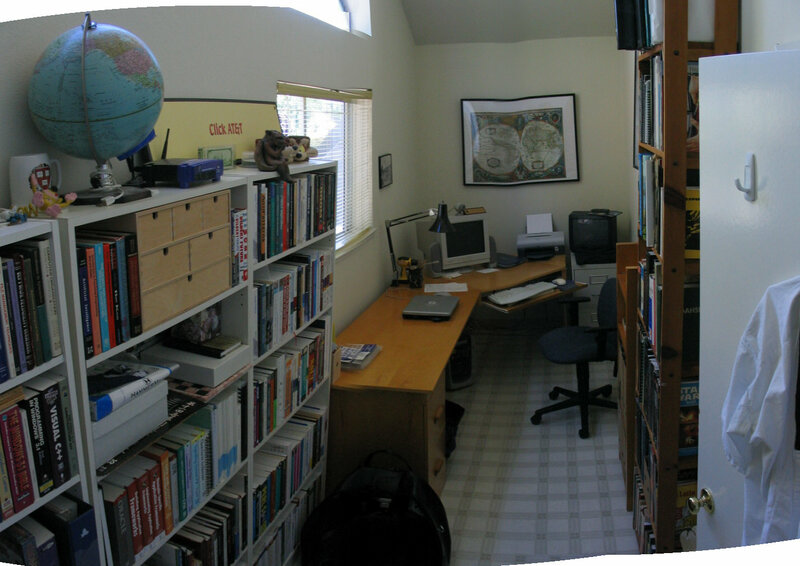 But with the new baby, I had to move my office to the unused end of the laundry room, move the kids to where my office had been, and turn their old room into the nursery. My dad's custom desk didn't quite fit, so I had leave out one section. 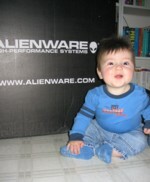 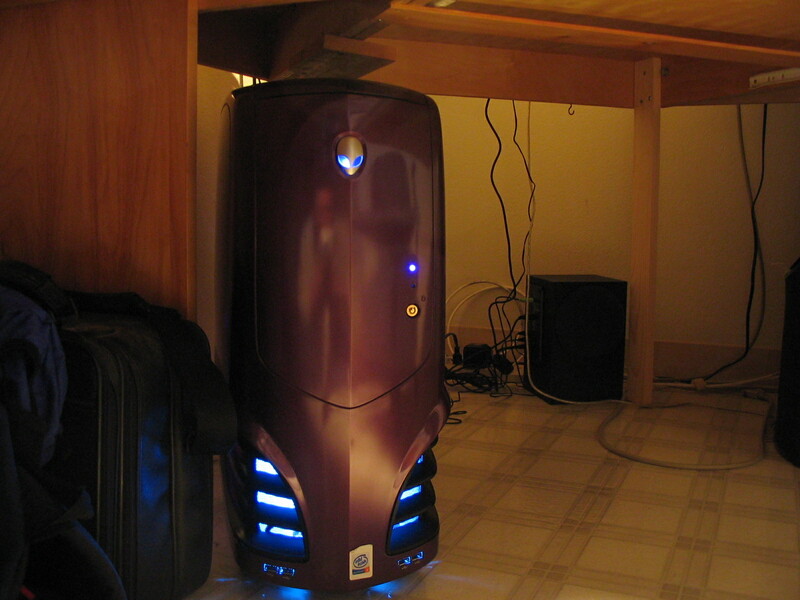 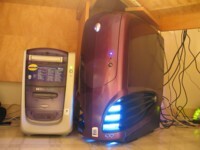 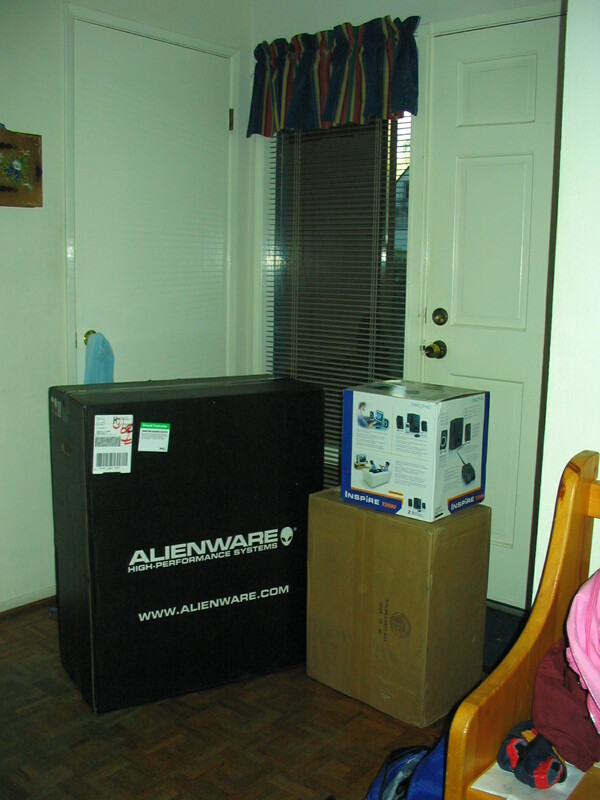 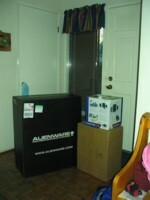 Then, one fine morning, I finally received my new Alienware Area-51 machine.